Hey Sewing Loft Readers! 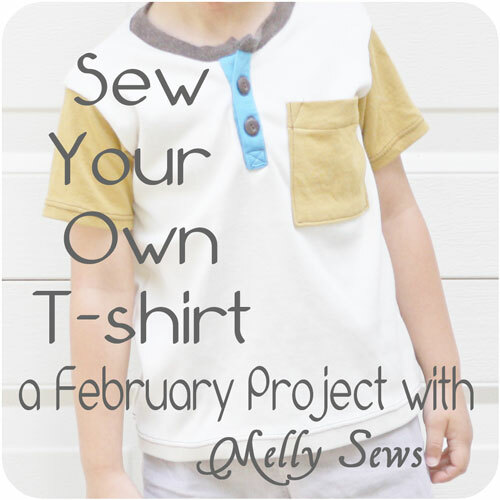 How are your t-shirt projects going? And what questions do you have for me? 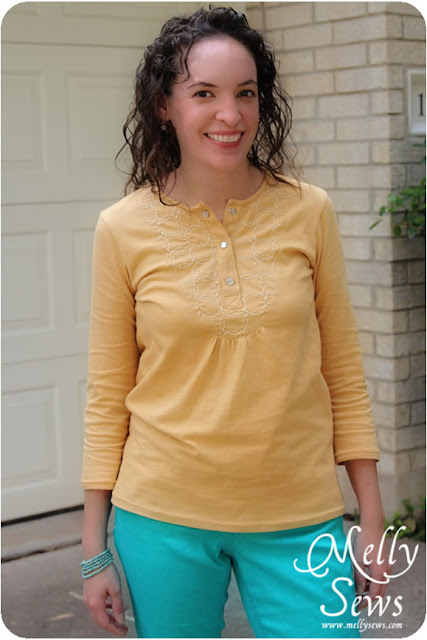 Today I’m going to talk a little about tips for sewing with knits, and then I’m opening the comments up for your questions. Yup, I am responsible for that ugly, wavy seam. For a long time I thought that if you stretched the knit slightly while you sewed, it would counteract the fact that thread isn’t stretchy (unless you’re using wooly nylon or elastic thread which is a whole ‘nother mess). But this is WRONG. So, what questions do you have for next time? A knit issue I didn’t cover? A t-shirt pattern you can’t figure out? Throw ’em at me in the comments so I can answer them next time (remember my fear of crickets). I’ve tried knits and well it was less than fun. I didn’t like cutting it because it curled up on me and then my machine tried to eat it. I used a stitch and tear stabilizer but then it left crap in my seams. So I’m guessing I need a washable one instead? Great tips Melissa! When constructing tees or other garmets with jersey knit- I found my walking foot attachment to be a life saver! 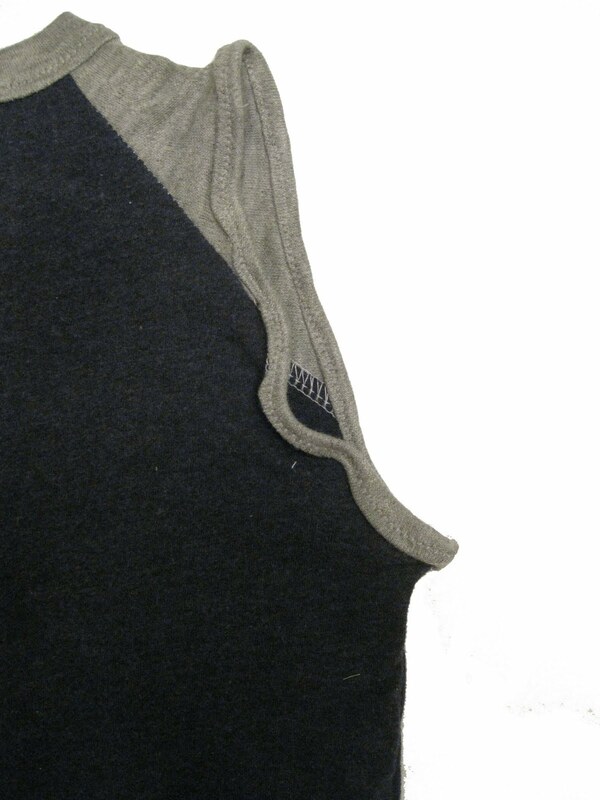 It helps to keep my knits from feeding unevenly and stretching I used it all the time before investing in a serger. They can be a little pricey depending on your machine but totally worth every penny! I’ll have to try these tips. I stay away from knits because of all the problems I have trying to sew knits without jamming up my machine. Melissa, curious about how big or small a zig zag you use. I have sewn knits successfully with a stitch length longer & narrower than the default setting. It looks ALMOST like a straight stitch but has plenty of give. Anyone done this? Just curious. This happens to me all the time. I never knew about the foot pressure, so I’m going to test it out! I really…. really… appreciate this article. I seriously hate working with knits, and had no idea how to do it. I’ve saved sooo much fabric to practice on but it just doesn’t work right for me. I end up tearing holes in my material. I’ve even tried it with the footer up, instead of down. I’ll try your advice, I appreciate the tips sooo much! I can’t seem to find the Pellon Stitch n’ Washaway -Please advise! Hello Susan, I am sorry you are having trouble locating this product at your local store. It can also be ordered by the yard through Pellon on Amazon.